Highlights include the Saturday morning parade and productions at the Sherwood Center for the Arts. The 65th annual Robin Hood Festival will bring plenty of fun for all ages to Sherwood this weekend. Old Town Festival events launch 5 p.m. and go to 11 p.m. Friday, and run 9 a.m. to 11 p.m. Saturday. 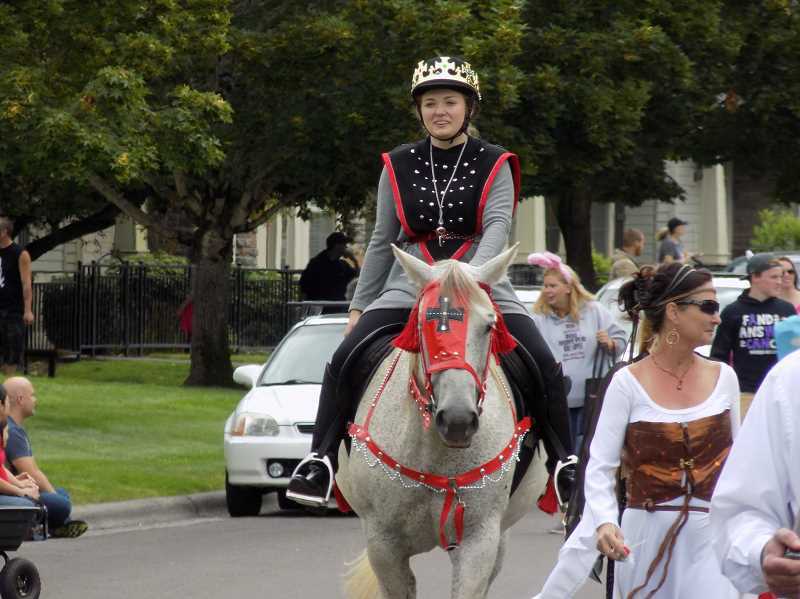 "A Day in Sherwood Forest" is the theme of the popular annual parade at 10 a.m. Saturday. The 63rd annual International Archery Tournament between Sherwood and Nottingham, England will take place at Edy Ridge Elementary 9 a.m. to 3 p.m. on Saturday and Sunday. Admission is free to the Festival, including entertainment on two stages. Over 100 vendors will fill the streets, with many activities and wares to explore. here will be plenty of delicious food on hand and a beer, wine and cider garden. Uniquely modern and medieval, the Festival offers continuous musical entertainment from popular bands, including The Nu Wavers Friday night and Hit Machine Saturday night. Medieval activities include the antics and skits of the sword-playing Seattle Knights on Saturday, as well as sword-fighting demonstrations with Sherwood's own N.W. Armizare on both days. The Sherwood Renaissance Singers will perform throughout the Festival, starting at 5:45 p.m. Friday to herald the traditional knighting ceremony. Festivities will include free kids crafts, castle building and costume contests. Other activities include a teen dance, Reptile Man, a Mad Science alchemy demonstration, BJ the Clown and more. "Seussical Jr." will be performed by Sherwood's Voices for the Performing Arts at 7:30 p.m. Friday and Saturday at the Cannery Square Stage. Play tickets can be purchased in advance at HYPERLINK "https://mail.pamplincorp.com/owa/redir.aspx?REF=HQGKEfFD4PZoYN3CQPNdzbgE_99CpUg9qUHb62_xaBuxMHljWu7VCAFodHRwOi8vd3d3LnZwYWZvdW5kYXRpb24ub3JnLw.."www.vpafoundation.org and at the gate. The Sherwood Public Library is sponsoring "The Reluctant Dragon" puppet show at 1 p.m. Saturday at the Sherwood Center for the Arts, along with a puppet making workshop at 3 p.m. The Robin Hood Festival is a Sherwood signature event that has been enjoyed throughout the region by multiple generations. Visit HYPERLINK "https://mail.pamplincorp.com/owa/redir.aspx?REF=nV_HDytH4lvcekIDDrXGFU86XKPcmfbVRYzxNYgniOOxMHljWu7VCAFodHRwOi8vd3d3LnJvYmluaG9vZGZlc3RpdmFsLm9yZy8. "www.robinhoodfestival.org for more information. Submitted by Susan Danz of the Robin Hood Festival.